by Adventure Cycling Association in the summer of 2017. The Central Idaho Mountain Bike Association is extremely excited to announce the Payette Lake Trail! This summer we will start construction on the first mountain bike trail to complete the 33 mile loop around Payette Lake. CIMBA members have been working hard to put all the pieces of this project together for literally years, and we cannot wait to show you our plans! The overall project is broken down into multiple phases and will take several years to achieve 100% buildout. Phase one will consist of constructing four to five miles of new single-track near North Beach that will connect to the existing Payette Rim Trail and the McCall town connector and by extension, the singletrack at Ponderosa State Park. Once finished, the trail will be primarily comprised of natural, modern single-track that is accessible to all non-motorized users. 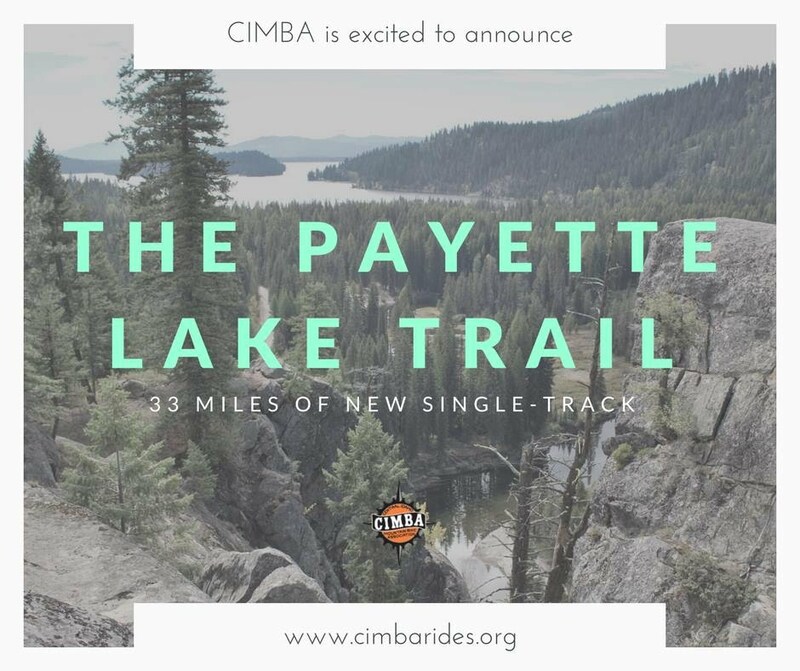 Built entirely on state lands, CIMBA envisions the Payette Lake Trail having multiple entry and exit points, intermediate trail difficulty, and a modern “flowy” trail feel, making it a true public resource for mountain bikers of all abilities. This project represents a unique opportunity to build a heritage quality trail in our vibrant recreational community. Through our parent organization IMBA, we’ve hired Trail Solutions to design and build the trail. We chose Trail Solutions because we want to do this right. They are professionals with an unbeatable track record of constructing world-class mountain bike trails. Trail Solutions is familiar with the McCall area as they were the main contractor for many of the trails at Tamarack Resort. To get involved or learn more about this project, stay tuned to our Facebook feed or sign up for a CIMBA membership. We will be holding an information night in the near future to answer all your questions and spread the stoke for a new trail that will take mountain biking in McCall to a whole new level! 36 miles of cross country spectacular singletrack trails. Is The Business World Beginning to Embrace Bike Culture? According to Entrepreneur.com, the number of bike-friendly offices is increasing. Check out this video of some of the best backcountry bicycling. It just happens to be in Idaho. IMBA has used the Epic designation for more than a decade. challenging, more than 80 percent singletrack and at least 20 miles in length. and aspen trees and jaw-dropping views of the Tetons. experienced riders seeking airtime need only to stay off the brakes. Will Idaho join the National Bicycle Route System? Minnesota, New Hampshire, North Carolina, Virginia. Currently, more than 40 states are working to create U.S. Bicycle Routes. support the effort, including conducting a bicycle corridor suitability project and forming a state bicycle and pedestrian committee. An explanation of how bike travel can revitalize rural areas. Can Bicycles Help Small Town America? Boise Bike Share has a director! this Dutch cyclist critiques why America doesn't take bicycles seriously. Kristin Armstrong wins Olympic Gold ! Boise resident wins time trial gold in cycling at the Beijing and London Olympics. Tour Idaho in this Emmy Award-winning documentary about bicycling in the Gem State. Here is a good map of the trail online that shows the lay of the land. Idaho is the state first to offer a special license plate for cars where the proceeds will be applied toward bicycle trail improvement and trail building. The Idaho Department of Parks and Recreation will facilitate the grant program to use the money raised in the sale of these plates. Fees your Idaho-registered vehicle is $35 in addition to your normal registration cost. The renewal fee is $25 annually. Of those fees, $22 at purchase and $12 at renewal will be allocated to a special fund at the Idaho Department of Parks and Recreation to be used ONLY for the creation, maintenance, and improvement of Idaho's 17,000 miles of recreational trails. For a non-personalized plate, visit your local County Division of Motor Vehicles office and order one in person. Customized plates will cost $60.00 for the first year with a $40.00 renewal fee each year thereafter. as recreational trails are used for hiking, running, wildlife watching, and horseback riding. I will ride on the right side of the road as far to the right as practical and safe. I will ride single file when on narrow, curvy, or busy roads. I will be as visible as possible to traffic. I will ride predictably and use hand signals and proper lighting in the dark. I understand and will obey the laws regarding stopping and yielding at stop lights and stop signs, which are: in Idaho, a cyclist can roll through a stop sign without coming to a complete stop only if traffic is clear, a cyclist can go through a red light only after coming to a complete stop and only when traffic allows safe, clear passage. I will wear a helmet any time I ride, not just in group rides and races. I will foster a better relationship between cyclists and drivers by offering considerate, friendly, and polite communication with drivers and other cyclists. 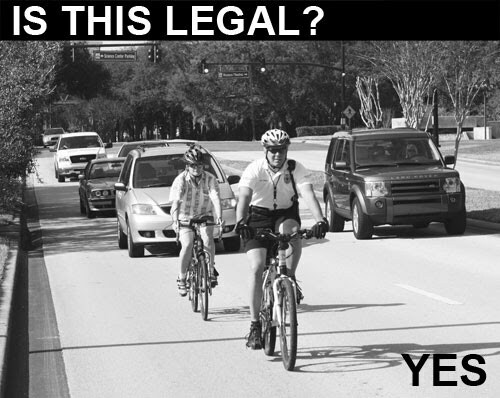 When I drive I will expect and respect cyclists on the road and give them room. I will not honk at cyclists.